Slow Cooker Baked Beans with Sausage is a one-pot meal that’s ready when you are. The first week back to school after the Christmas break is always a challenge. It’s like September all over again, complete with groggy kids and the effort of getting everyone back into a routine. Throw in a snow storm and an early morning orthodontist appointment and we’re all spent before the week is half over. That’s why I’m smitten with the slow cooker. Slow cooker baked beans with sausage an easy one-pot meal. On a chilly January day it’s a relief to arrive home after a busy day with supper pretty much cooked. 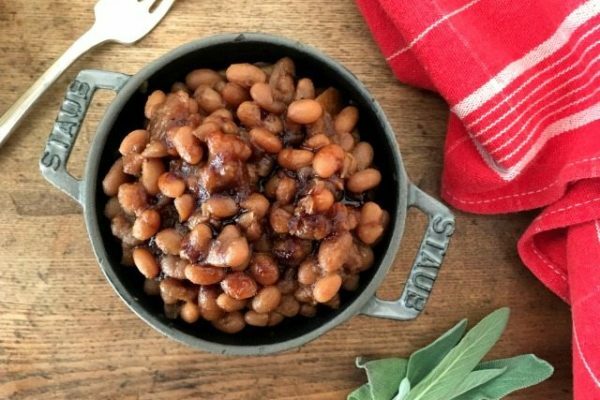 With just 10 minutes of simple prep in the morning this recipe for slow cooker baked beans has just one easy step remaining before supper’s on the table. 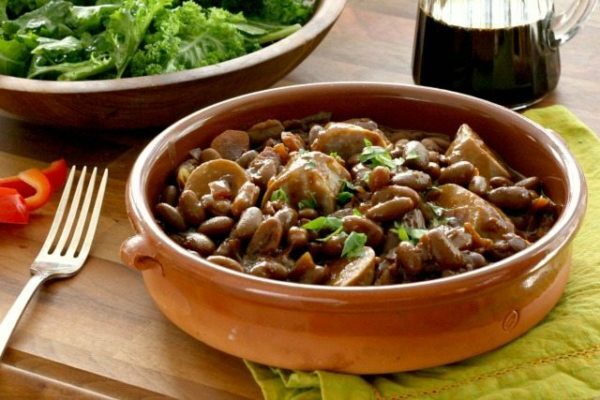 The beans have all day to cook in their flavourful sauce and then you simply lay the sausage on top to cook and release extra flavour into the bean mixture. Prep a basic salad and you’re all set. 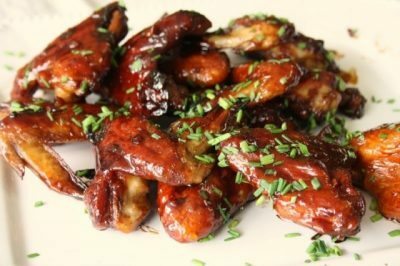 I use canned white beans for this recipe to avoid the planning and time required to soak beans from dry and pre-cook them. 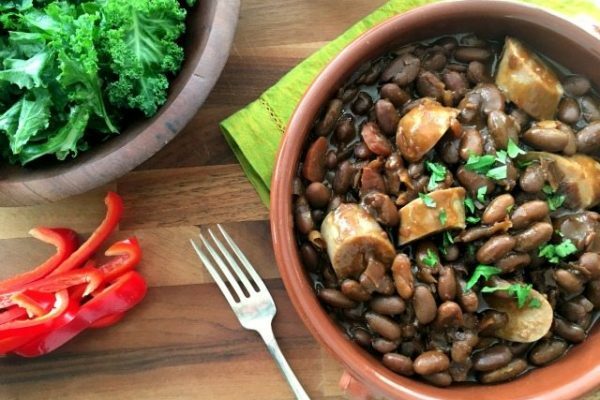 If you’d prefer to use dried beans in this recipe be sure that they’re fully cooked before you add them to the slow cooker. 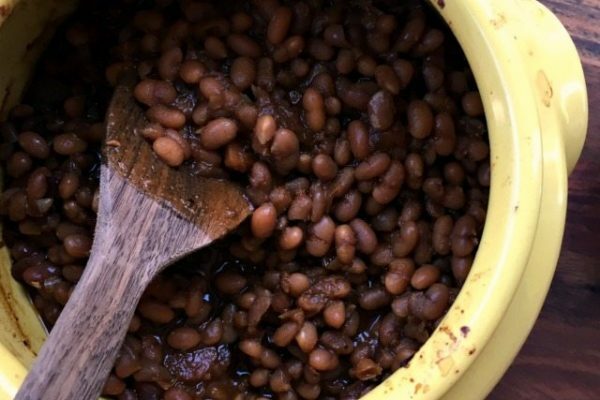 This recipe calls for just 1 1/2 cups of water which isn’t enough for partially cooked beans. 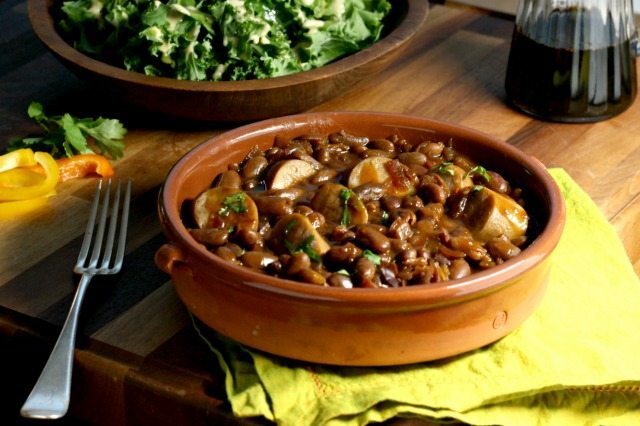 This recipe is a contemporary riff on old time beans & wieners. It works with all of your favourite sausage flavours. I have made it with garlic and herb sausage, spicy chorizo and a low fat sun dried tomato. The spicy version is my favourite. Drain and rinse beans. Add onion, carrot and garlic to slow cooker. Scatter over beans. In a medium bowl whisk molasses, sugar, mustard, soy sauce, vinegar, salt & water. Pour over beans, cover and cook 6-8 hours. Whisk in flour, puncture sausages and lay them on top of the beans. Cover and continue cooking until sausages are cooked through, 30-40 minutes. I don’t know how old I was when I finally decided I liked baked beans. Baked beans were a common Saturday night supper when I was growing up, along with molasses brown bread. And when I was really little mom would sometimes add chopped hot dogs to the baked beans, I suppose to make the meal more palatable to those of us who hadn’t yet acquired a taste for them. The layered flavours of sweet and smoke, and the soft texture of the beans made me realize how satisfying they are, in the comfort food sort of way. 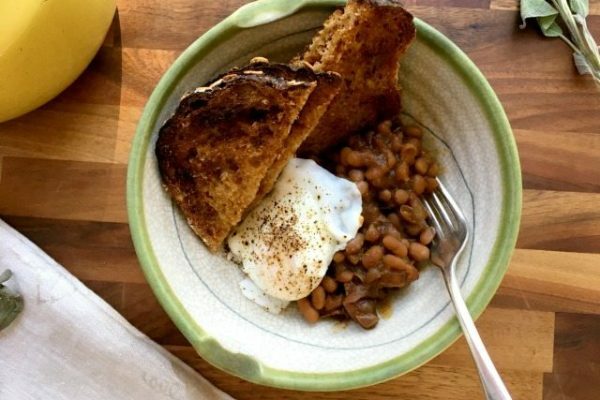 Today I still love baked beans best with breakfast (with a poached egg) but they’re a side dish that can go with so many foods. I don’t know how long it will take my kids to develop a taste for real baked beans. In the meantime, I’ll keep getting them to taste each batch I bake and hope for the best. I have high hopes that they’ll love this new recipe. 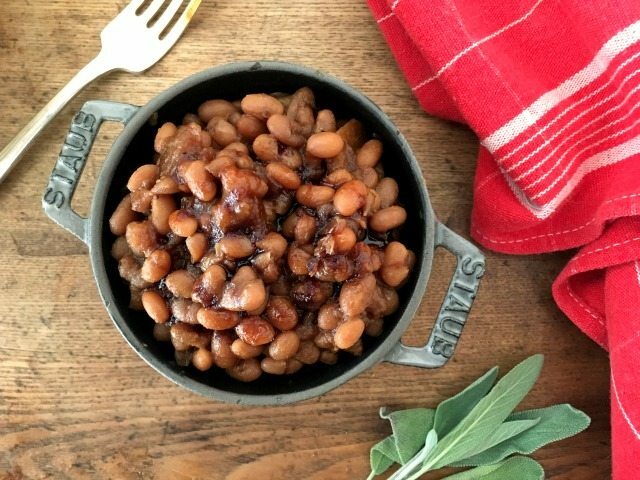 Based on a recipe from East Coast Living magazine, this version of baked beans is filled with apples and seasoned with sage, which add a new dimension to the flavour and makes them especially well-suited to fall. I usually have cooked navy beans in the freezer, which comes in handy when I want to make recipes that call for dried beans. If you’re using already cooked beans, two cups of dried beans equals 51/2 to 6 cups of cooked beans. Not a fan of sage? Substitute thyme for the sage called for in the recipe. The next day, drain the beans, put them in a pot and cover with water. Bring to a boil, and simmer for 45 minutes. Fry the bacon (if using), discard pan drippings and roughly chop. Drain the beans and put them in a large ovenproof pot with a tight fitting lid, or a bean crock. Add the bacon, chopped carrot, onion and apple. Mix together the molasses, maple syrup, Dijon, sage, garlic, salt, pepper and water and pour over the beans. (Add additional water, if required, so beans are just covered.). Cover the pot and cook at 275 F for 4-6 hours, until tender. Stir occasionally and add water if necessary so the beans do not dry out. Take the lid off for the last hour of cooking to help the beans brown and to thicken the sauce. My neighbour Robyn and I share a love of chickpeas. 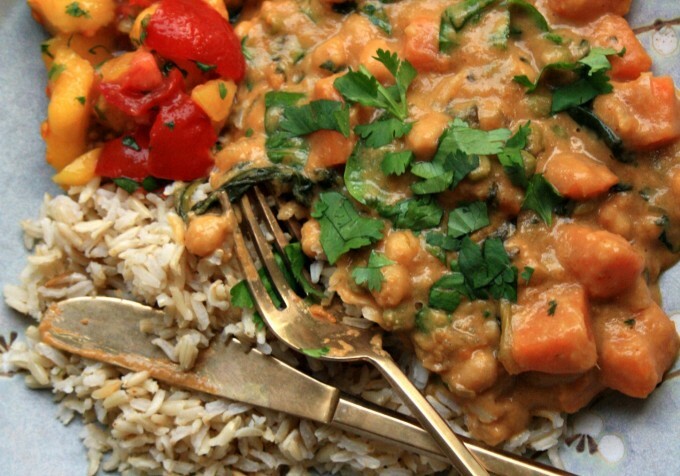 One of the best curries I have ever tasted was Robyn’s chickpea curry, a surprisingly speedy bean, tomato and spice dish that is wonderfully flavourful and doable for a weeknight meal. 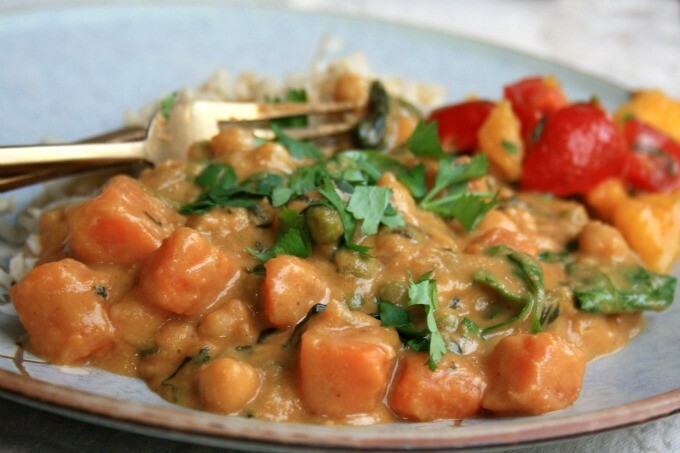 Another favourite is her sweet, creamy Thai inspired Chickpea Sweet Potato Stew. 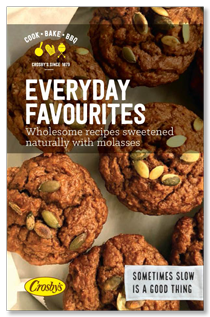 Spiced with as much heat as you like, the flavour is balanced with the sweet potato and the savoury sweet of a little molasses. This is a substantial vegetable dish. With two sweet potatoes, a good amount of baby spinach and some peas this makes a hearty meal. As well, I have been known to toss in half a pound of shrimp and a tablespoon of fish sauce to take the flavours in a different direction. 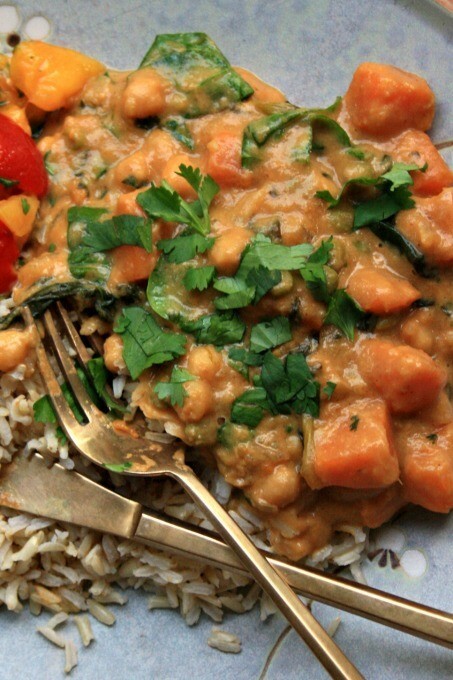 I serve this chickpea sweet potato stew over brown basmati rice with a little mango salsa on the side. Leftovers are delicious for lunch the next day. Add a splash or two of oil to a stockpot over medium heat. Toss in the onion and garlic and sauté them until they’re lightly browned, about 5 minutes or so. Grate the frozen ginger into the pan with a Microplane grater or standard box grater and add the Thai curry paste. Continue cooking until the spices are heated through and fragrant, another few minutes. Add the sweet potatoes, chickpeas, coconut milk, orange juice and peanut butter. Bring to a simmer, lower the heat and continue simmering until the sweet potatoes are tender, about 30 minutes. Stir in the molasses, peas, spinach and cilantro. Season with salt. Serve over rice. Takeout Pad Thai is pretty delicious. 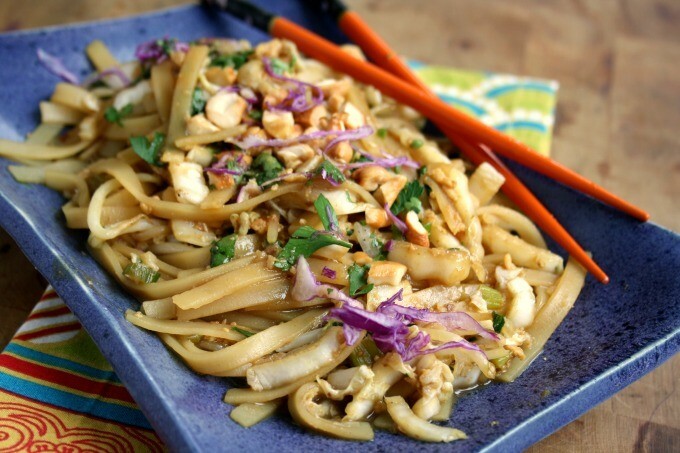 But you can make vegetarian Pad Thai at home too without a whole lot of effort. So save your money and treat your friends at home. After a weekend of Halloween candy I’m ready to live on vegetables for a while. My daughter has been hauling her candy around the house in a canvas bag and my son secured his chocolate bars in a lock box and has hidden the key in the garage of his Lego police station. They gorged all weekend but this Halloween diet has got to stop. 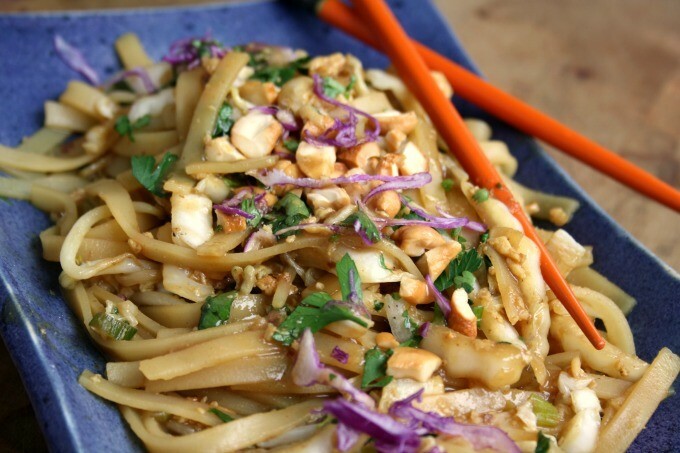 So, new week, new month, we’ll kick things off with a healthy treat – homemade vegetarian Pad Thai. 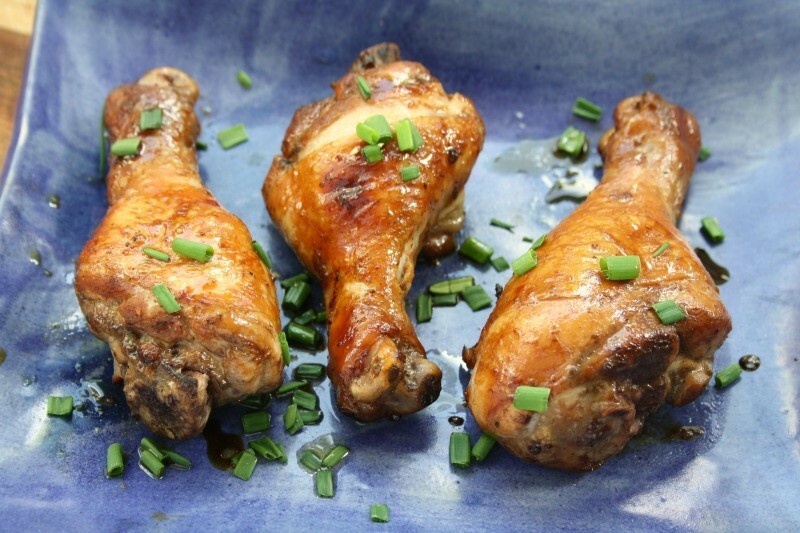 This takeout staple is easy enough to make at home, takes almost no time and tastes authentic. Plus you can adjust the quantity and variety of vegetables to your liking. 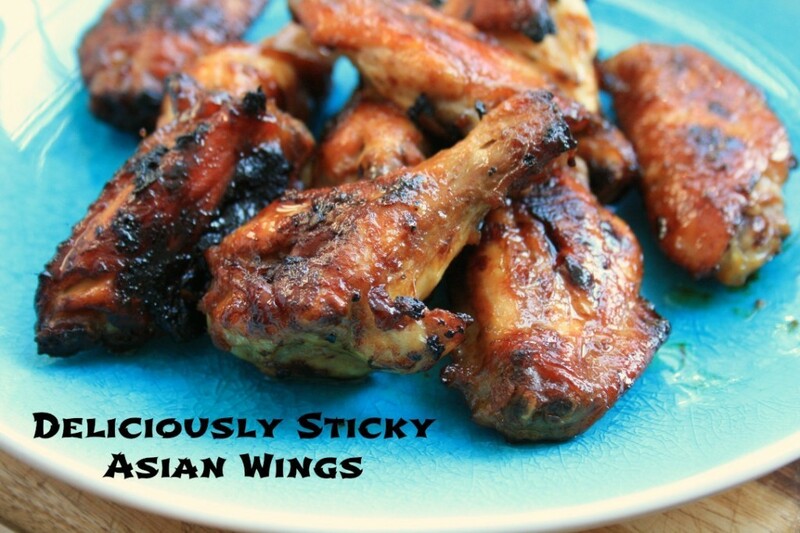 In this version I have used Chinese cabbage but I have been adding grated carrots to the mix too. 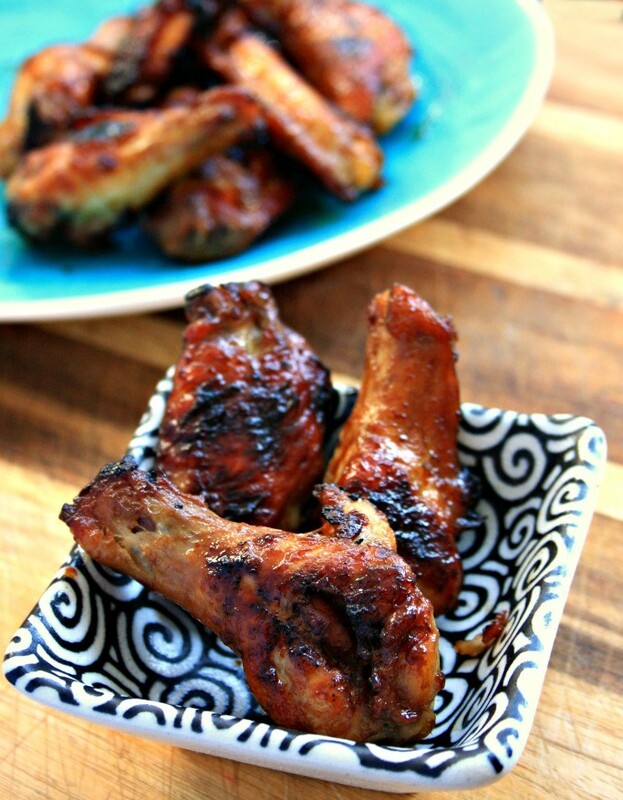 Make a double batch of the sauce so you have it on hand for even faster prep next time. Add shrimp if you’d like extra protein. It’s a weekly staple for us, something my kids request. Put noodles in a large bowl and cover with boiling water. Let sit until noodles are just tender, checking often. Drain and set aside. Combine tamarind paste, fish sauce (if using), molasses and vinegar in a small pot and bring to a simmer. Stir in red pepper flakes and sesame oil and set aside. Heat oil in a wok or large skillet over medium-high heat. When it shimmers add scallions and garlic. Toss a few times then add the beaten eggs (or tofu) and scramble them. Add cabbage and bean sprouts and cook until cabbage wilts and thicker pieces are crisp tender. Add drained noodles to pan along with sauce. Toss to coat. When sauce is bubbling and noodles are warmed through divide among plates and garnish with cilantro, peanuts and lime quarters. 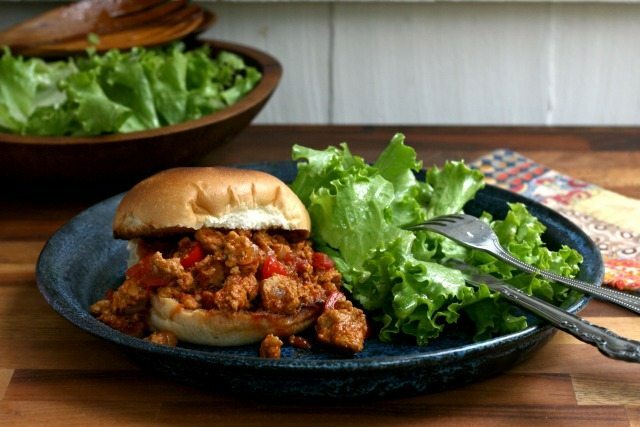 Vegan option: Replace the eggs with 1/2 to one cup of firm tofu, crumbled. 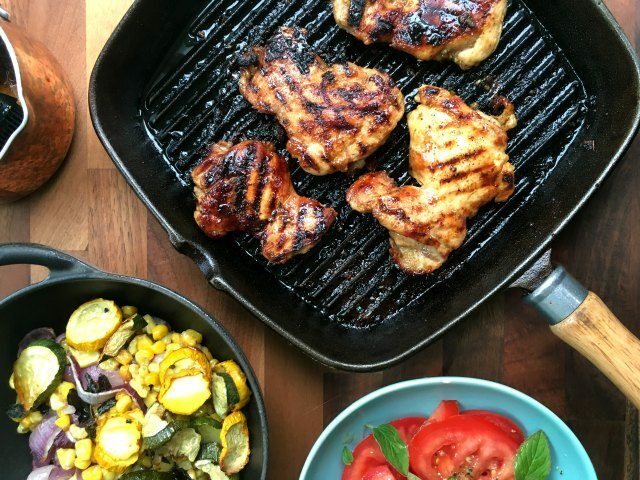 Who says October is the end of barbecue season? We hardly ever haul out the barbecue but I always have barbecue sauce on hand. It’s a terrific condiment for all sorts of cooking. We use it as a sauce to keep oven-cooked meats moist and flavourful and, as I have discovered, it is the perfect addition to turkey meatloaf. Slathered on top before cooking it helps to lock in moisture and the flavour combo — turkey and apple — couldn’t be better. Especially come October. 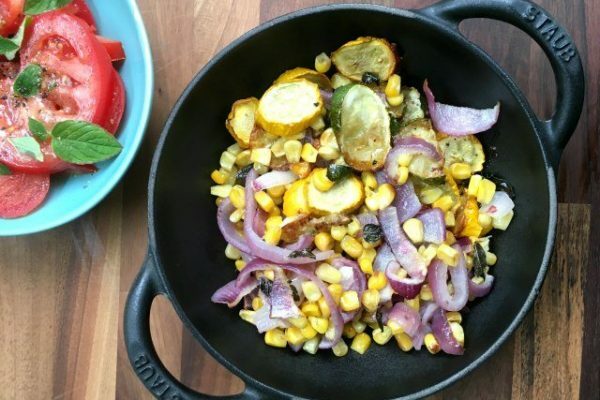 This is one of those summer-meets-fall meals, the easy kind that goes with anything. 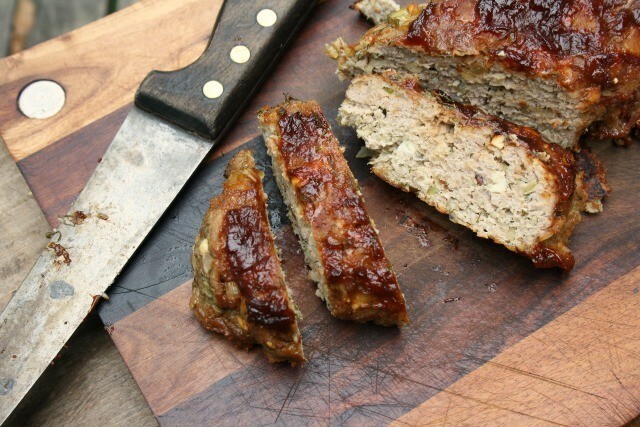 Leftover meatloaf can be used for sandwiches.  Try the apple barbecue sauce on all your favourite grillables. 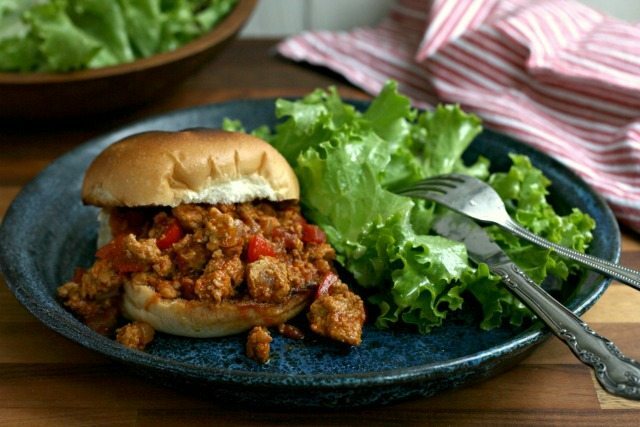 It’s beautifully spiced and has a nice little bite of heat. In a deep pot melt butter over medium heat. Saute onion, salt and spices until onion is softened. 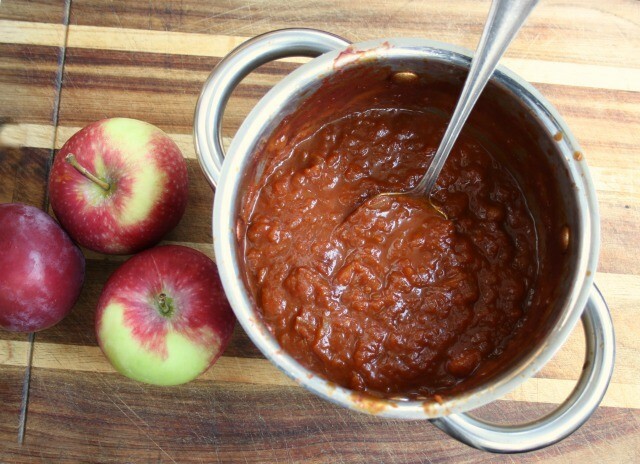 Stir in apples, molasses, sugar, tomato paste, water and vinegar. Turn heat up to high and bring to a boil. Reduce heat and simmer for 20 minutes, until apples are soft. Mash or puree. Simmer 15 minutes longer for a thicker sauce. 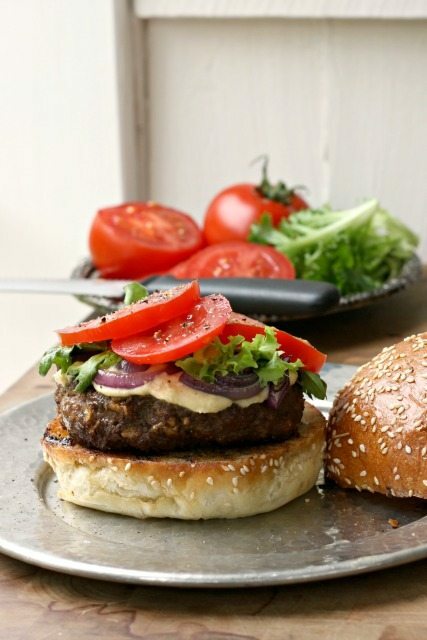 Quick and easy recipes that taste great — that’s what I love. Especially on sunny days when it’s finally starting to feel like spring. 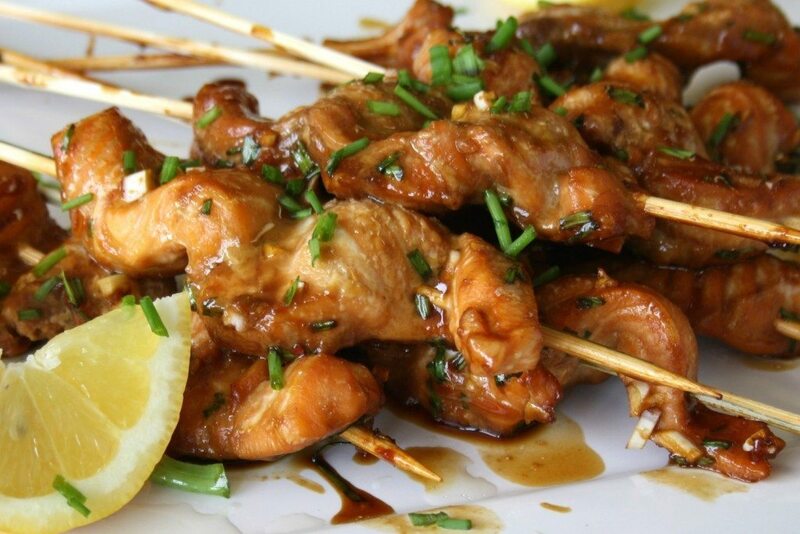 For me, food on a skewer dissolves all memory of winter and welcomes warmer weather to our supper table. With their fresh spring colours these salmon skewers even look great on a plate, stacked over rice with some fresh bright vegetables alongside. Of course they taste delicious too. 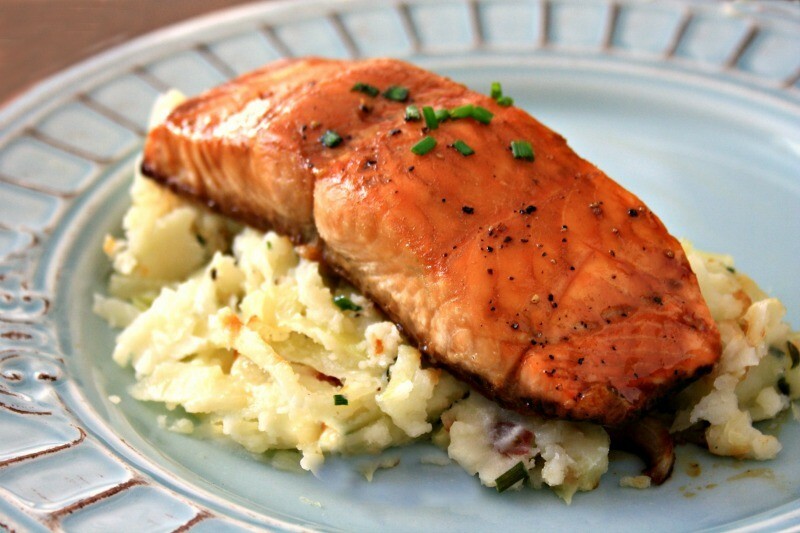 Molasses and soy sauce are an excellent combination, especially with salmon. Since it’s a rich tasting fish salmon can handle the extra flavour of the marinade and the tangy sweet from the molasses is a lovely touch. Salmon was always a sign of spring when I was growing up. To this day a classic New Brunswick spring supper is whole roasted, or oven-poached, salmon served with local fiddleheads and new potatoes. 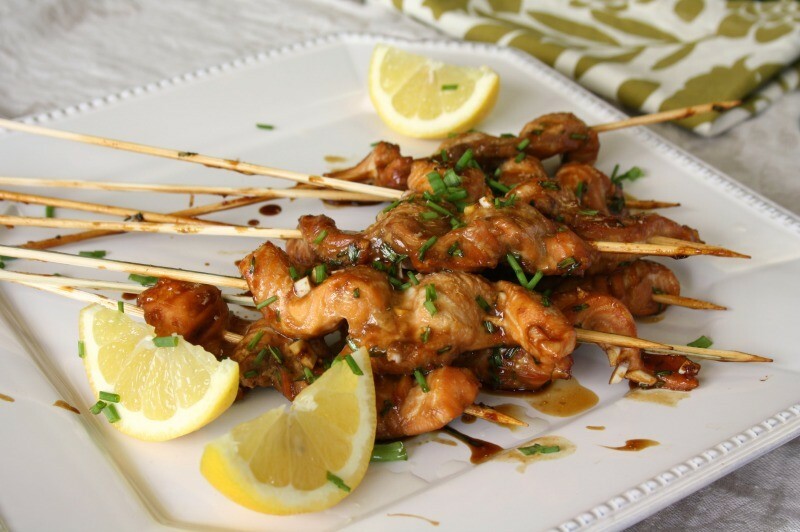 These speedy salmon skewers are suitable for a main dish meal but they work just as well as a tasty, finger-friendly appetizer too. 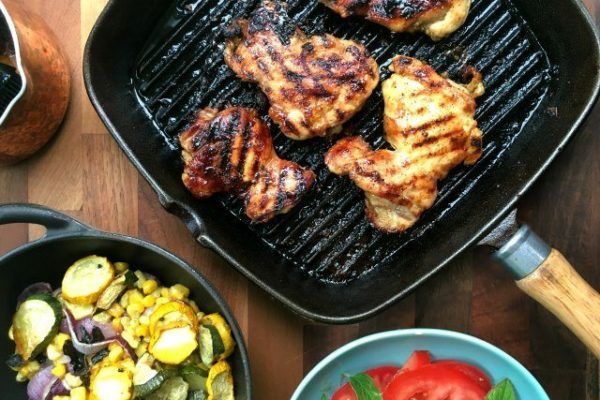 Want to teach your kids to cook? 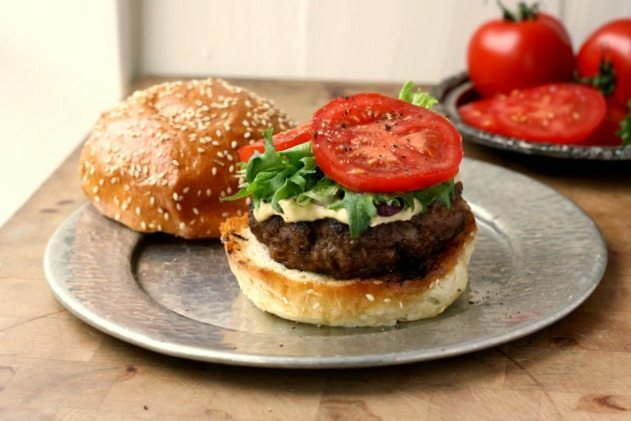 Get them started with this recipe. 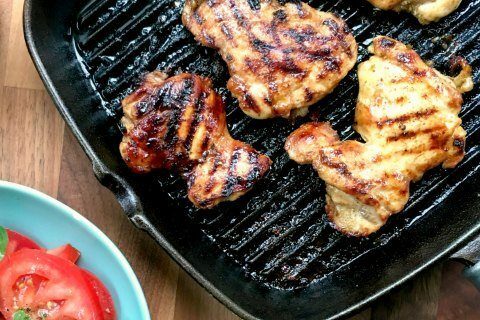 The marinade is simple to mix up, and it’s very hands-on, so fun to assemble. 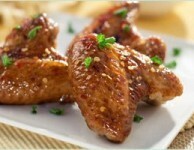 In a shallow dish combine soy sauce, molasses, ginger and garlic (and hot pepper). Add the salmon and mix it around with your hands until it’s well coated. 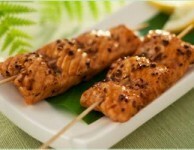 Thread salmon onto prepared wooden skewers. Place salmon skewers on a parchment lined baking sheet and bake for 8-10 minutes, turning once half way through, until cooked. Remove to a plate, squeeze over lemon and sprinkle with chopped chives. 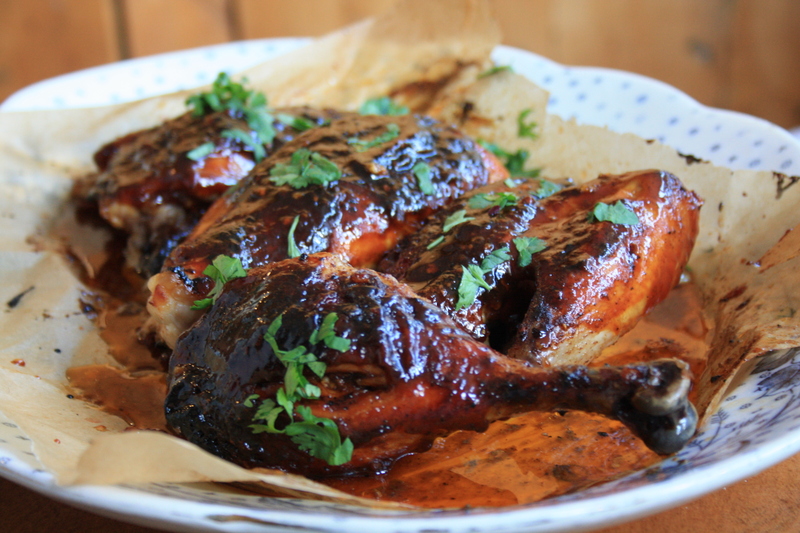 You’ll love the sweet and salty flavour that this molasses marinade adds to the salmon, especially if you find salmon a little strong. It caramelizes on top and adds a savoury edge that balances out the richness of the fish. Are you all for celebrating Valentine’s Day or do you prefer to let February 14th slide by in its Hallmark hype? I’m not much for bows and heart-shaped boxes of chocolates (I prefer tulips) but I do love to prepare a special supper. Whatever your opinions about celebrating Valentine’s Day, you can’t go wrong with an impressive meal that’s quick and easy to prepare. 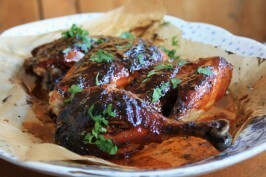 That’s what’s so great about this molasses and soy glazed salmon recipe. Few main dishes cook faster than fish and with a marinade that takes less than two minutes to prepare the overall prep time of this dish is next to nothing. Not that speed needs to define a Friday night meal (Valentine’s Day or not). 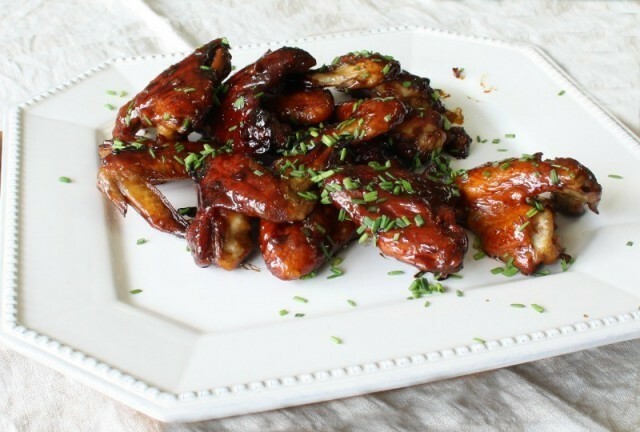 This molasses marinade is delicious with fillets or steaks. Serve it with your choice of green vegetables and rice or this potato cabbage hash. Enough salmon for 4 people (fillets or steaks). Combine first four ingredients. Place salmon in a dish and pour over half of the marinade. Let rest 15-30 minutes, flipping once. 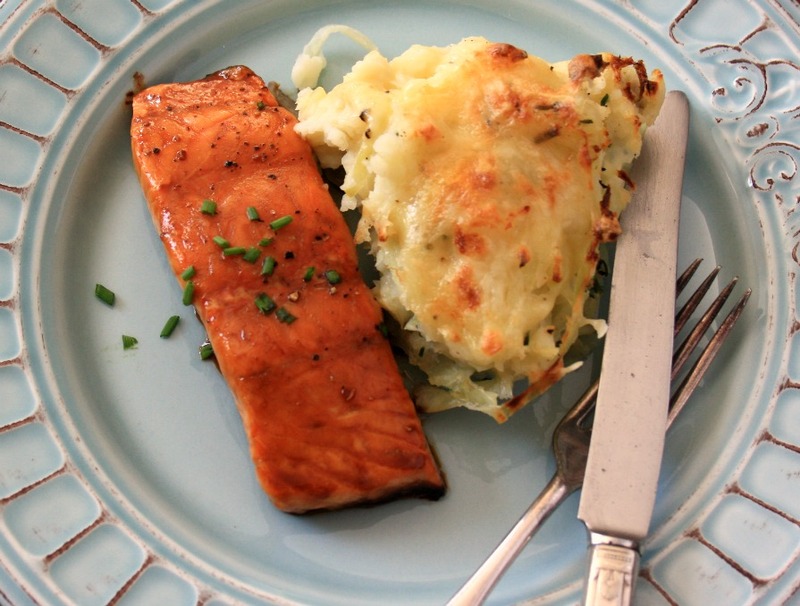 Remove salmon from dish, discard marinade and place in a parchment lined baking pan. 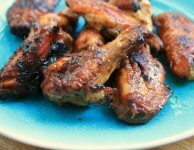 Brush with remaining marinade and bake in a 450 F oven for 5 minutes. 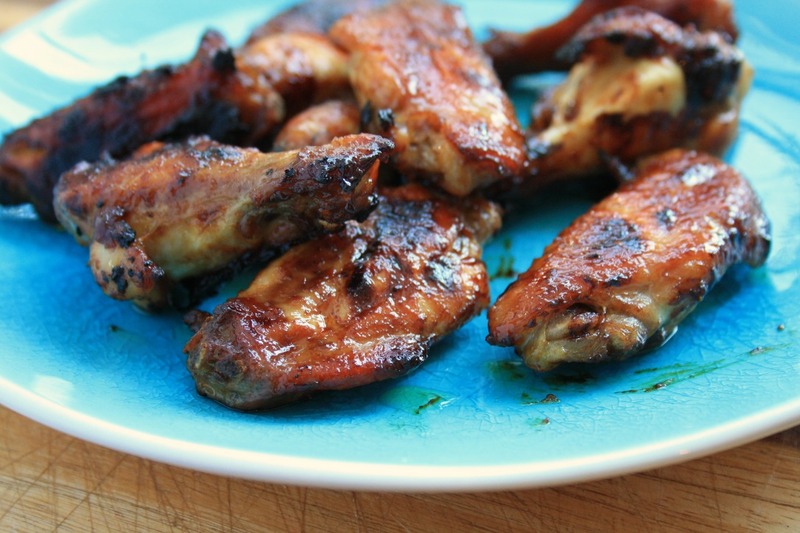 Remove from oven, brush again with marinade and return to oven until done to your liking. 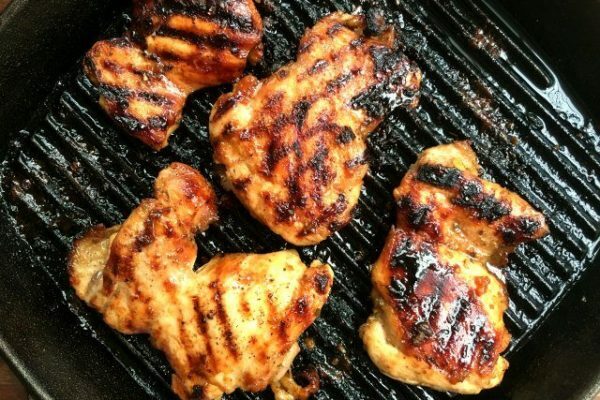 Brush with marinade before serving.